In 2015, art historian Alexandra von Stosch initiated the Bauhaus Council Berlin eV, an interdisciplinary platform for future discourse on the Bauhaus Archiv/Museum für Gestaltung Berlin. After graduating from the Sorbonne, Paris, she curated national public art projects in France, as well as the new art collection of the Société Générale, La Défense, Paris from 1994 to 1997. She managed the International Center for Curatorial Studies in New York from 1997 to 2001. Based in Berlin since 2002, she has been a visiting professor at Humboldt University of Berlin and taught at Universität der Künste Berlin, Bauhaus Universität Weimar and Barenboim Said Akademie Berlin. She is a member of the board of directors of Villa Aurora / Thomas Mann House eV and of the board of Stadtmuseum Berlin. 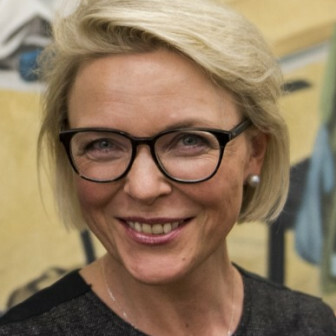 Since 2017 she has been responsible for the Art & Culture division at Artprojekt Group, where she was made a member of the management in January 2019.